The Institute is a regular contributor to conferences across the globe, regularly co-locating its Annual Dinners and Research Workshops with many of them. Here is an overview of the major events that we participated in since 2003. At the ninth meeting of The Inter-American Committee on Ports (CIP) the Executive Secretary of CIP Sherry Tross, signed a Memorandum of Understanding with Institute Chairman Pedro Zaragoza Chairman to strengthen institutional capacity and provide technical assistance in terms of logistics to the ports of the Americas. The Busan International Port Conference 2013 hosted by Busan Port Authority took place on Thursday and Friday November 7 & 8th at the Lotte Hotel in Busan. The theme of the conference was ‘Ports Adapting to Change’ The Conference identified common issues in the shipping and maritime industry and suggested possible solutions to the problems encountered by the global port community.500 domestic and international industry player attendeded the conference which was staged to celebrate the 10th Birthday of Busan Port Authority (BPA) The Conference marks the first of what aims to be an annual event in Busan for the Korean and international shipping industry. The Institute has collaborated extensively with the conference producers to shift the emphasis to focus on issues affecting the cargo owner and shipping line as well as the container terminal. As a result future delegates at TOC will begin to see a ‘TOC Container Supply Chain Stream’ which will focus on the movement of cargo from manufacturer to destination. Now 3pls, port authorities, lines and cargo owners will join the terminal operators to create a port centric container master event. "I am delighted to be once again asked to moderate at TOC, I am particularly looking forward to experiencing the new format and emphasis"
The Institute was invited to moderate a panel to discuss the Port of Virginia’s ‘Operation Port Plus’ program – an initiative of the Port of Virginia to improve their port by emphasising service to the customer as its primary goal. 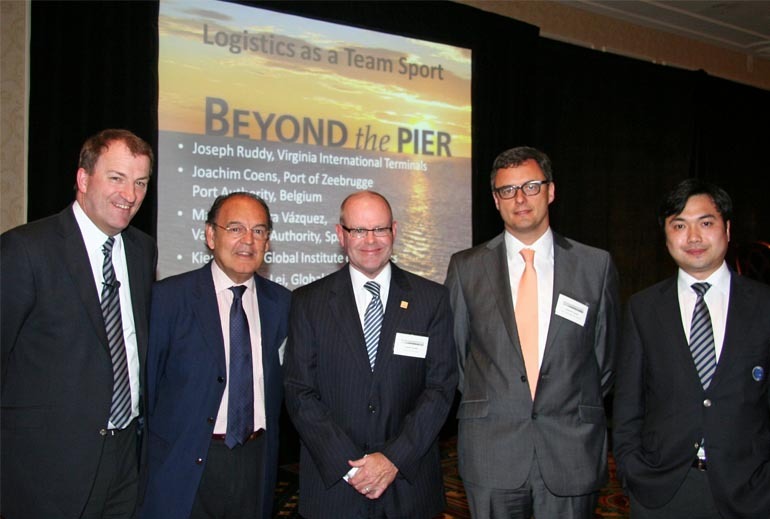 The Port of Virginia recognise that logistics is a team sport, and believe that Port Plus should be a port-wide initiative to attract additional cargoes of all types, drive additional business for all in the port community, and establish the Port of Virginia as the premier port on the East Coast. A key strategy in ‘Operation Port Plus’ is to compare and contrast what is going on in Virginia with other leading ports across the globe. This will allow them to identify changes they can make to (1) improve service standards, (2) eliminate waste and cost, and (3) drive efficiency in their everyday operations. It is in this spirit that, through the Institute, the panel will invite port authorities that have implemented CTQS (Container Terminal Quality System) and those that have implemented PCQS (Port Community Quality System) to share their knowledge and experiences. The panel will discuss how demonstrating a commitment to quality has resulted in additional cargo and business for the respective port communities. The International Association of Ports & Harbours, a global alliance of more than 230 ports in 90 countries, held their 2012 Mid-Term Conference in the stunning city of Jerusalem from May 20th-24th. Exploring all aspects of port and harbour operations - including strategic planning, the environment and the evolving role of the Port Authority - the conference provided tremendous value for ports worldwide to come together, discuss trends and common challenges and collaborate on industry-enhancing solutions. The Institute was pleased to present its research on the 'Transition of the Port Authority from Landlord to Economic Strategist'. The presentation explored the motivation for the change, featured case studies on First Movers and Early Adopters, shared Institute research on how such change can be achieved, and discussed some of the potential outcomes that could result. The Institute travelled to Brisbane to participate in the 2012 Australasian Ports & Harbours Congress, and presented a special workshop edition of the World Port Strategy Forum for the Oceania region at the event. 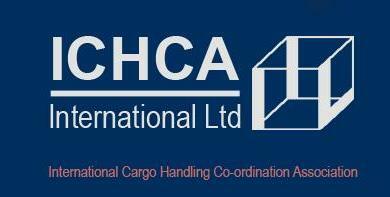 The Institute met with Shipping Australia Ltd to introduce the Container Terminal Quality System. Shipping Australia promotes and advances the interests of ship owners and shipping agents in all matters of shipping policy and safety. Shipping Australia's members cover many of the major Australian and international ship owners, operators and agency companies involved in bulk, tanker, general cargo shipping, container, passenger and tramp trades, covering liner conference and independent services. The Institute CEO, Kieran ring, moderated the TOC session titled "Mega-Trends & Market Forecasts - Global Container Trade, Supply Chains & Transport"
The Institute of Chartered Shipbrokers UK, Sri Lankan branch, invited the Institue's CEO Mr. Kieran Ring to speak at their 25th anniversary seminar. 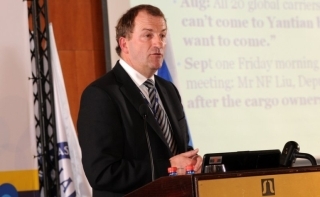 The seminar examined how the economic crisis in the west is affecting ports, shipping and logistics. Within this context Mr. Ring presented the results of the Institute's research into how port communities are changing in order to meet the demands of full integration into the global supply chain. 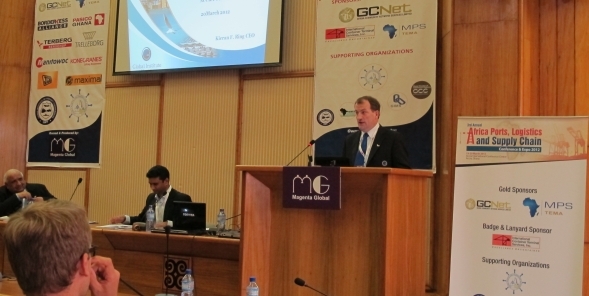 The Institute was asked to deliver the key note speech at Africa Ports and Logistics in Accra Ghana. The conference examined how putting the spotlight on the challenges and innovative solutions facing the operators and users of Africa’s ports and terminals and its transportation corridors.. Within this context Mr. Ring presented the results of the Institute's research into how port communities are changing in order to meet the demands of full integration into the global supply chain. African ports are faced with serious challenges of productivity, efficiency and sustainability impacting logistics and supply chain performance - the 3rd Africa Ports Conference in Ghana addressed these issues and was organised to help ports to achieve competitiveness and supply chain innovation. The Institute was pleased to present its research on the ‘Transition of the Port Authority from Landlord to Economic Strategist’. The presentation explored the motivation for the change, featured case studies on First Movers and Early Adopters, shared Institute research on how such change can be achieved, and discussed some of the potential outcomes that could result.